Recently I posted a picture on Instagram while I was in Superdrug swatching the new Lip Lacquer's from MUA, and I said how much I wanted one but they didn't have the shade in stock that I wanted, well Santa (aka lovely Laura) sent me one! 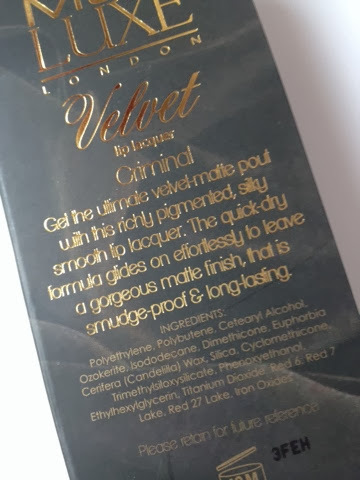 When I was swatching in Superdrug the product did not budge from my hand for ages so I knew I needed to test one out so when I saw this in my stocking I was over the moon! 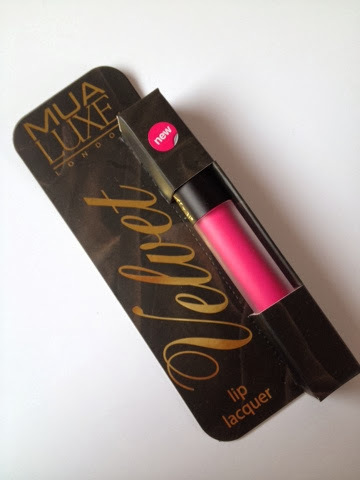 MUA Luxe Lip Lacquer in shade Criminal RRP £3.00. 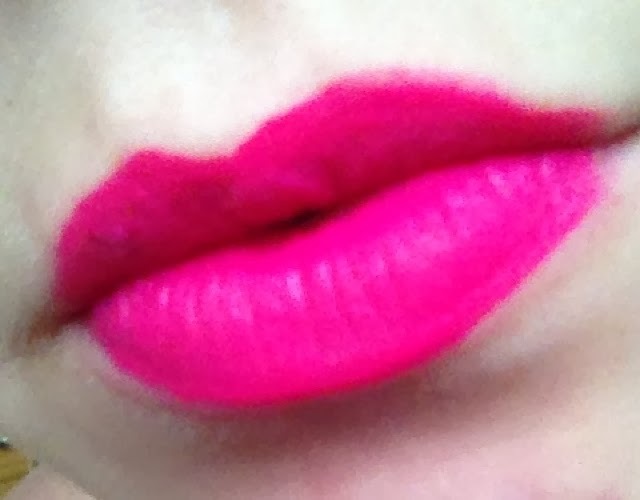 My pictures below do not do this shade justice, this is your typical hot/barbie pink and it is most definitely the most pigmented lip product I have used. 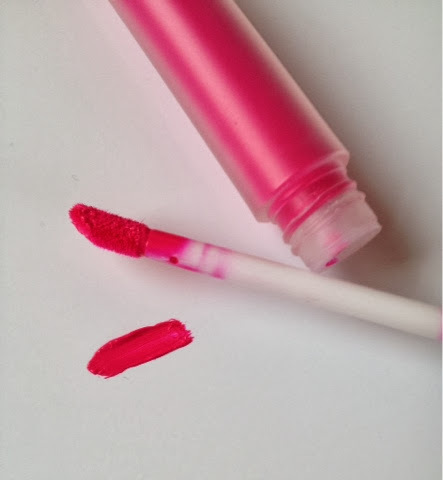 The product comes in a frosted effect tube with an applicator wand, the texture is like a lipstick and in no way glossy (which for me is perfect as I am not keen on lip gloss) and it's really easy to apply! One tip is apply it quickly as it does dry pretty sharpish but even once it is dry it doesn't dry your lips, it creates a matte effect and one coat is all you need for a full on opaque colour!! 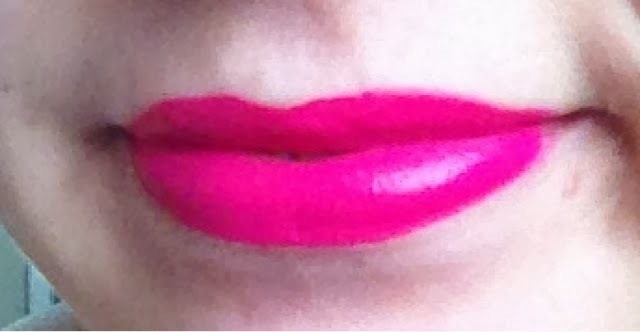 They are quite similar to Rimmel's Apocolips but I much prefer these as they have the matte finish rather than glossy and I do think these last much longer. 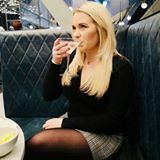 I just adore it, and I know I will need to have them all, these would be absolutely perfect for a night out, who likes having to reapply lipstick all of the time.....no one! My one and only downside would be that their are only 5 shades to chose from and these are all extremely vibrant shades so not for the faint hearted, if MUA created more shades for a more everyday look I would definitely wear these everyday as they are THE longest lasting lip product I have ever used. Have you seen or tried these out yet? Reckless is next on my list! The packaging is so cute, such a bargain! It is just amazing Sam! Do it Laura it's amazing! It looks fantastic on you though, I used to love MUA products, I'll have to try some of the new lines! Oh I so want to try these! The new line isn't even in my superdrug yet! Oh no Casey, that's rubbish!